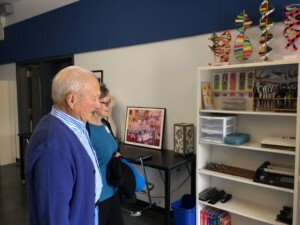 SOLANA BEACH — Jay Williams stood inside of a science classroom at Earl Warren Middle School, staring in awe at the rows of charcoal colored desks, twin white boards and the high-tech gadgetry. This was not the Earl Warren he remembered back in 1954, when he stood in gleaming new classrooms as a teacher in his mid 20s when the original Earl Warren campus opened its doors. Back then, he said, the classes had wooden desks and chairs, black chalkboards and forget about computers. This, he said, was better. Jay Williams and his wife, Marsha, were among the first to set foot in the classrooms at the new school. Jay Williams was a teacher when the original Earl Warren opened in 1954. “What I see here is totally different when we came the first time, they have totally changed it and improved it immensely,” he said. 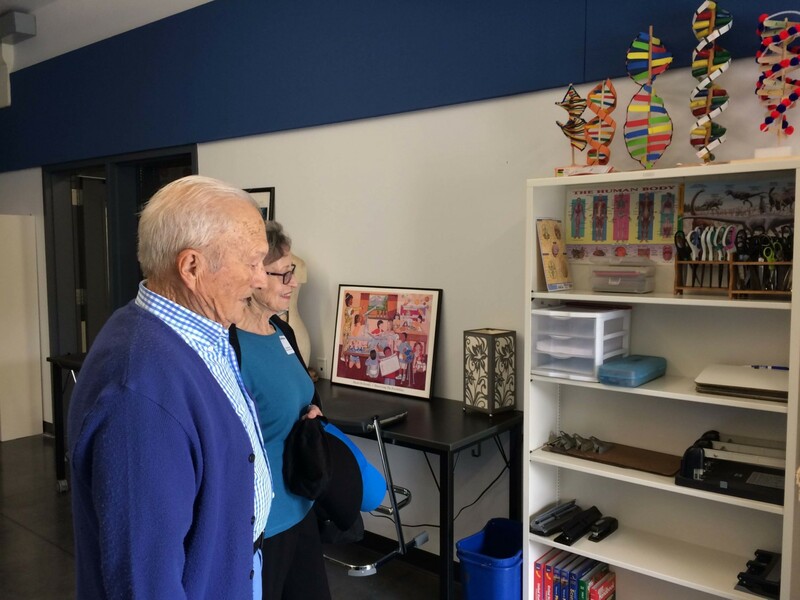 “What I see here is totally different when we came the first time, they have totally changed it and improved it immensely,” said Williams, one of the first people to set foot in the classrooms at the brand new Earl Warren campus, which opened its doors to students on Aug. 29. Williams, teachers, staff, elected officials and dignitaries celebrated the opening of the new campus Aug. 25 with a ribbon-cutting ceremony. The nearly $40 million campus was one of the highlights of the San Dieguito Union High School District’s $449 million construction campaign financed by the voter-approved Proposition AA bond. It replaces the 61-year-old campus that was torn down in 2015 to make way for the two-year construction project. State Sen. Toni Atkins (D-San Diego), State Assemblyman Todd Gloria (D-San Diego), and former State Sen. Dede Alpert were among the elected officials in attendance to congratulate the school district on its milestone. Planning for the new campus dates back to 2008, when the district updated its master plan, the documented that outlined how the district would accommodate future growth. 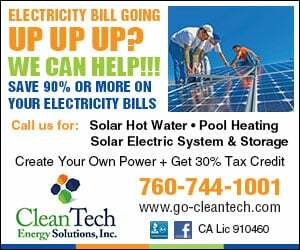 But it became a reality in November 2012, when voters approved Proposition AA, which has financed construction across the district, including the construction of the Pacific Trails Middle School, brand new buildings on each of the district’s high school campuses and athletic facilities. School board President Amy Herman thanked the community for making the new school possible. “This beautiful new campus shows what a community can accomplish when it comes together to support our public schools,” Herman said. Noticeably missing from the ribbon-cutting was the rancor from the last time multiple members of the public were on the campus last month, when district officials met with parents of a group of special education students who protested the district’s decision to place the adult transition program in two modular units outside the gates of the Earl Warren campus. Since that meeting, the district has moved the program to La Costa Canyon. 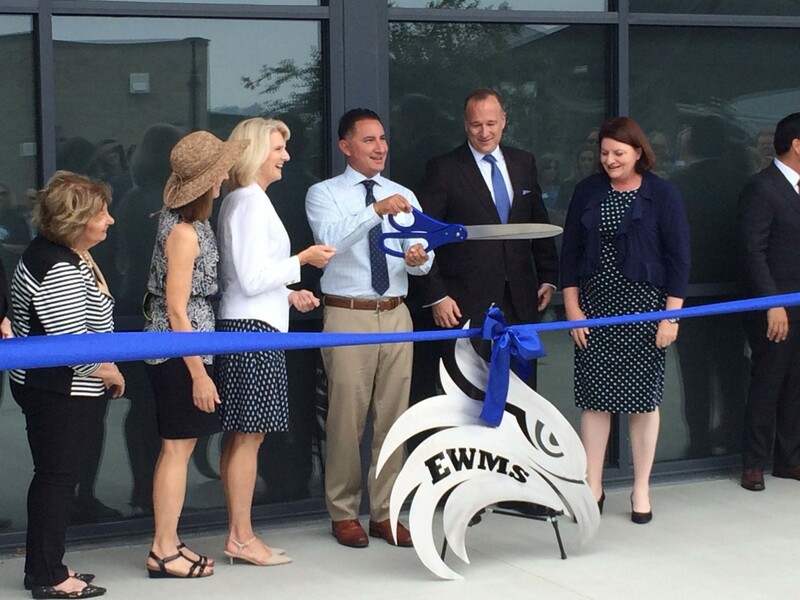 District officials held an open house at the new site on the same day as the Earl Warren ribbon-cutting. This day, Dill said, was one for celebration. Dill and Herman praised the project’s contractor, McCarthy Construction, and architect Lionakis for capturing the spirit of the community in the design and construction. Laura Knauss, principal architect with Lionakis, said the terraced campus’ design was representative of the beach houses, sand dunes and the waves crashing along the shores of the coast line. “We really wanted it to represent this beautiful community,” she said. Williams, standing with his wife, Marsha, said they accomplished the mission. “This is really something,” he said.